In-stock 24 Volt 2.5A AC/DC watt well regulated power supply, with 24 volt DC output in external desktop format and barrel connector, from PowerStream; double insulated. More 24 volt power supplies click here. .This is a compact, high quality, external switchmode regulated power supply with stable output, 60 watts continuous. It has a removable AC cord (IEC C7-C8) and universal AC input (100VAC to 240VAC). Desktop power supply 2 x 1.2 x 4.3 inches with input socket for using international cords. 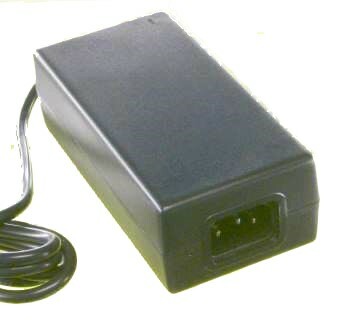 Input Connector: IEC C14, three prong input socket allows cords for any country to be used, the North American cord is included. 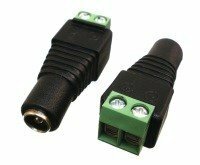 Fully regulated power supply is useful for devices requiring 24 volts and 2000 mA or less.